With one app, Dealer Center fulfills all your needs. Keep track of and in direct contact with your existing clients as well as your prospective buyers from one module. Maintain complete control and knowledge of inventory and get assistance from integrated booking services. 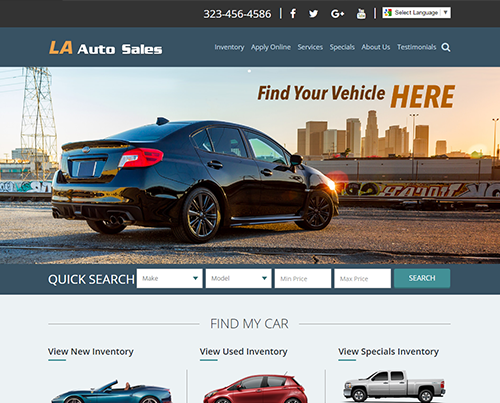 When combined with DealerCenter’s Inventory Management module, you can post online ads in a snap and always have your latest inventory on your custom dealer website. Integrated access to DealerCenter’s Preferred Lender Network and the ability to submit deals to all of your RouteOne lenders allows you to easily structure and submit deals. Complete management of all your Buy Here Pay Here accounts right in your main DealerCenter account, allowing you to easily switch between tasks. DealerCenter’s integration with payment processing services allows you to receive payments and record them right in DealerCenter. All of the data on your dealership. 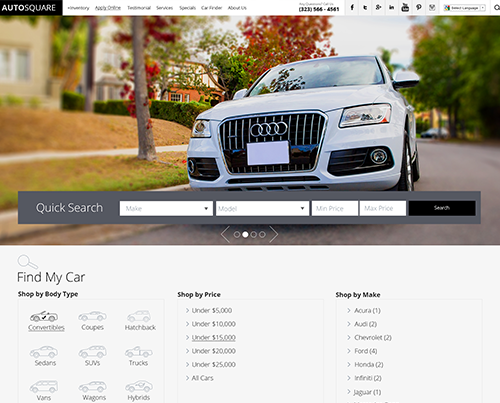 Editable, searchable and reportable, right from DealerCenter. Search upcoming auction sales and access vehicle details, book values, condition reports, and more. Dealers get total access to their business anytime, anywhere with DealerCenter’s native iOS and Android apps. Featuring instant VIN scanning, integrated booking services and vehicle history reports our mobile app becomes an indispensable tool at auctions. Plus, the ability to manage customers and sales activity enables dealers to drive sales. 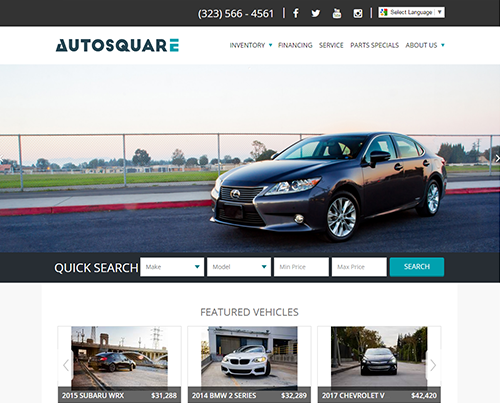 DealerCenter completely changed my business! For years I’ve had to depend on multiple products to run my business efficiently. Now I have my DMS, CRM, and Finance all in one location. This eliminates duplication, keeps employees on track, and I spend less by having an all-in-one program to run my dealership! It’s a great product! 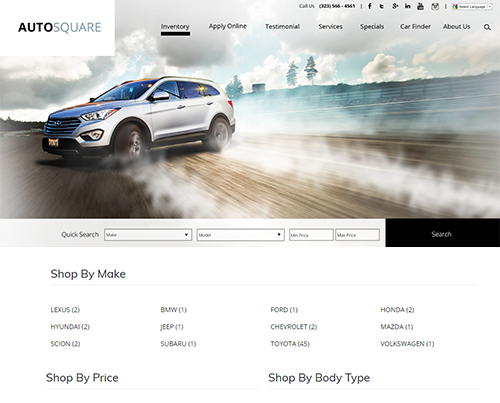 Integrating your Dealer Website is very easy to use. 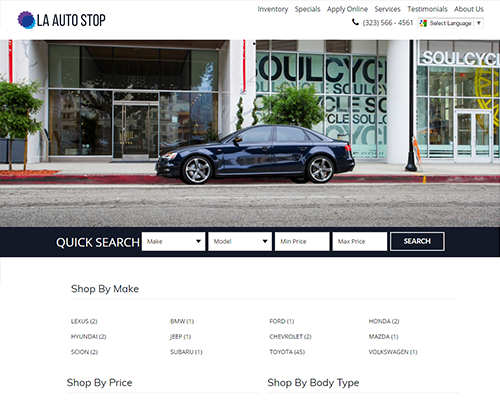 With just a touch of a button, you will be able to add or remove new and sold inventory. You can also offer your customers a secure credit application that feeds directly into DealerCenter. Nowcom has built strong relationships with many key industry leaders, integrating their products and services into our DMS platform, and we’re adding more all the time. Whether you’re a direct or indirect lender, or you provide services to automotive dealerships, we’d love to integrate your offerings into DealerCenter.